Starting off 2016 by DJing at Mix’d Ingrdnts Waacking/Punking Jam. It’s a costume themed event, and you know I’m always down for those, haha. Hello, Waackers and friends!!! 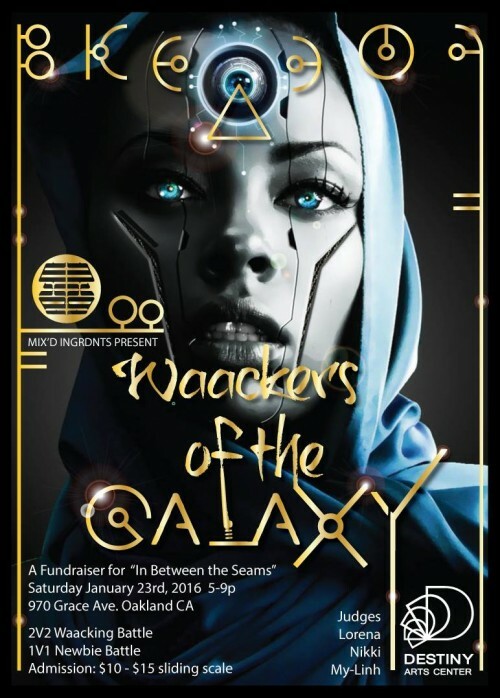 Bust out your shiny metallic everything out of your closet because in order to benefit our next show we are throwing WAACKERS OF THE GALAXY, a Bay Area Waacking fundraiser jam! Shinobi Jaxx and Galactic Gladys!!!!!!!! !